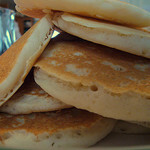 The Scott Lake Mens Club (SLAMS) is sponsoring the annual Scott Lake Easter breakfast on Sunday, 4/21/19 at the community center. Hours are from 8 AM to 11:00 AM. Adults $6, 12 & under $5, 5 & under free. All you can eat. The Easter breakfast is the major SLAMS fundraiser for the Scott Lake Kids Fishing Derby. Bring your families, friends and neighbors and enjoy a good breakfast and help support this worthy cause. 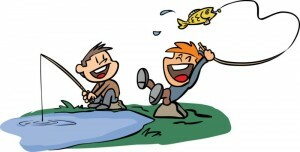 Scott Lake Kids Fishing Derby will be held Saturday, June 1, 2019 from 8AM to 11AM. Free registration at the park kitchen from 7 AM to 9 AM for Scott Lake kids and guests age 14 and under. The lake will be planted with trout. Volunteer boats will be available. Every kid receives a prize. Rain or shine. Fish cleaning station. It is suggested that each participate have their own bait and tackle. The derby is sponsored by the Scott Lake SLAMS club and supported by donations from local businesses, clubs, fire departments and individuals. Everyone is welcome to watch the kids catch some fish, win prizes and have fun. An algae sample was taken Monday, October 22, 2018 at Lake St. Clair. Toxin results should be available later this week or early next week, at which time we will send out an email with those results. Please avoid contact with lake water in areas with visible algae or algae scum on the surface. Do not drink the lake water. Keep pets and children out of the water if there is an algae bloom. When fishing, it is safest to catch and release any fish caught during an algae bloom. Please pass this information on to your neighbors. 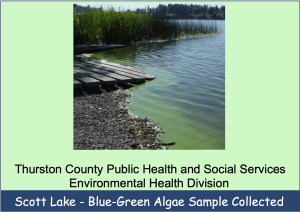 More information about blue-green algae can be found on the Environmental Health website. If you have any questions please feel free to call us at 360-867-2598. In order to ensure we are delivering the cleanest water possible, we are undergoing a routine water system flush October 22nd through the 24th. As usual, Clearwater Utility Services (our service provider) will begin the flush at the top of Champion hill. They will work their way down through the community. As they are working, there should be sandwich boards placed in the area to notify residents. 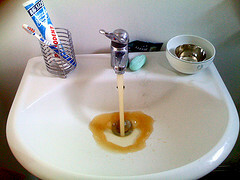 If water services are used while your area is being flushed, you may experience brown water. If this occurs, simply allow your faucet to run until the water runs clear. If you have any questions, please contact the Scott Lake Office during business hours at (360) 352-4787. Fireworks may be lit within 15 feet of lake shore in designated area. NO fireworks in ball field, Community Center parking lot, or tennis court. Bring your own platform to launch fireworks. Tables, docks, and other park equipment MAY NOT be used. Bring a bucket to pick up ALL fireworks debris. Dumpsters available at park kitchen area. 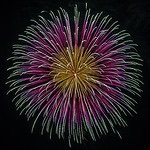 Anyone carelessly setting off fireworks will be asked to leave. No one under the age of 12 may set off fireworks without parental supervision. No fireworks after 11:00 PM. Flushing your water heater is an important maintenance step to ensure you get the most out of your water heater. By keeping your water heater clean from sediment buildup, you help ensure the maximum life is reached from this important home appliance. To help you flush your water heater properly, please refer to the instructions below, provided by Paul Robischon, Manager of Washington Water Service. 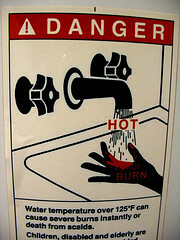 CAUTION: When flushing your water heater there is danger of being scalded. Be careful and keep children and pets away during the procedure. Water heater manufacturers recommend flushing sediment from your storage type water heater periodically. How often your model needs to be flushed depends upon the quality of the water in your area. Areas with high mineral content will have to flush more often. What is sediment, and why is it a problem? The sediment is sand or other grit from a well, or any other material that has gotten into the municipal water mains. Sediment can also come into your home after the water company flushes out their lines. Over time, your heater can accumulate this sediment consisting of sand, gravel, grit, and various mineral deposits. This buildup can reduce the amount your water heater holds, create a variety of interesting noises, and reduce the efficiency of your unit. The buildup of sediment at the bottom can harden and sometimes clog the drain valve. Cleaning this sediment out of your water heater is not particularly difficult; here is how to do it. If your water heater is gas, set the gas valve to “Pilot” to prevent the burners from coming on while you are flushing it. If your heater is electric, be sure to turn off the circuit breakers. With an electric water heater, if the water level drops below the heating elements, and the thermostat turns the elements on, the heating elements will probably burn out quite rapidly. Connect a heavy-duty garden hose to the drain valve at the bottom of the tank. Make sure the outlet of the hose is in a safe area away from pets and children. It can be very hot and can scald quickly. Close the shut off valve on the cold inlet to the water heater. Carefully open the temperature/pressure relief valve at the top of the tank by lifting the lever. Leave the valve open. Open the drain valve at the bottom of the heater allowing the water to flow out through the garden hose. If the sediment is clogging the drain valve then try closing the temperature/pressure relief valve and turn the cold inlet valve back on to “power flush” the sediment out. In some cases, the sediment hardens into large chunks that can block the drain valve. If so, then wait until everything cools down, remove the garden hose from the drain valve, remove the valve if necessary, and use a long screw driver to break up the clog. This is a very messy procedure. Once completed, re-attach the hose and continue flushing. Drain the tank completely. With the drain valve still open, close the pressure relief valve and turn the cold water inlet valve back on. This will scour the bottom of the tank and flush the sediment out. Flush the tank until the water runs clear. When the garden hose runs clear, you are finished. Close the drain valve at the bottom of the tank and remove the garden hose. Close the pressure relief valve at the top of the tank if it is still open, and turn the cold inlet valve back on. Open a hot water faucet in your house, and let it run until no air bubbles come out. Turn the heater back on, and with gas units re-light the pilot if necessary. 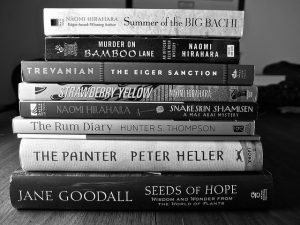 Please join the Scott Lake Book Club! We meet once a month, usually on a Saturday evening for snacks and to discuss the current book we are reading. 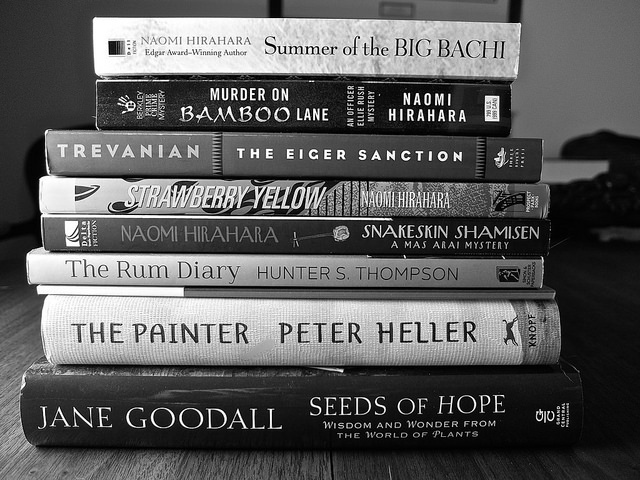 We choose our books from the Timberland Library Book Club set list, so we don’t have to pay for books. The Scott Lake Book Club is open to friends and family outside of Scott Lake. For more info please refer to the Scott Lake Community Family Support Group FB events tab or contact Deanna Ball @360-790-3638. Please be cautious as walking in our parks. A few community members have indicated finding hypodermic needles laying on the ground in our parks. 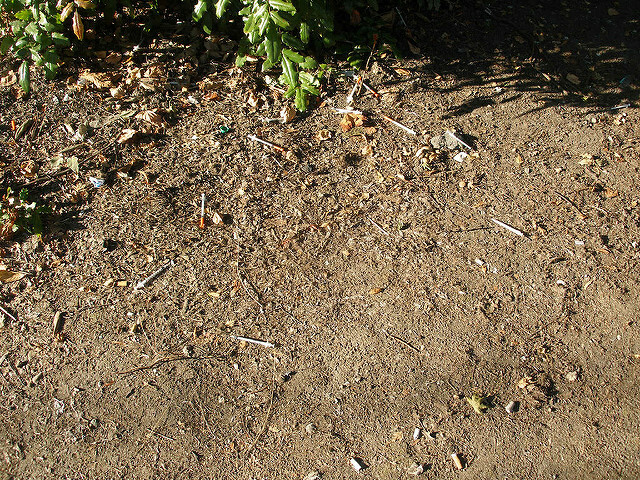 If you come across a needle, please contact Mike at the Scott Lake Office at (360) 352-4787. All of Washington State has the potential of being impacted by a major earthquake. 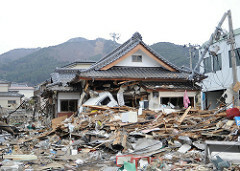 Earthquakes strike suddenly and without warning. When they occur, they cause the ground to undulate and shake, perhaps violently. Buildings – and their contents – are vulnerable to this rocking and rolling. Fortunately, experts teach how to secure homes to their foundations, and contents to wall studs. Identify potential hazards that will need to be bolted/strapped: such as water heater, tall furniture, cabinets; items that are heavy, breakable, expensive, precious, and/or toxic. Make a timeline to complete these safety projects. For complete information go to http://mil.wa.gov/emergency-management-division/preparedness/personal and find the Prepare in a Year Booklet and the Getting Ready Home Booklet.